Here are some pictures of our fury kids. We started our adventure of owning poodles with these two beauty. Benji (black-miniature) was born 25-05-88 and died 12-08-99. 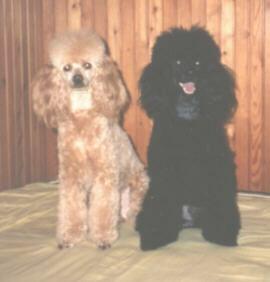 Both Poodles are from Budapest, Hungary. This is the most dogs I ever had. Shadow, Gy�ngyi (Candy), Boby, Benji and at the front is Cindy. My dogs here are getting a fleabath. As you could see they don't enjoy it as much as the picture on the right. They just want to escape. This was the last time we had fleas and that was 8 years ago. In our house the dogs are the one who gets the good seat and we humans are suffering on the arms of the sofa.  Benji's Page with lots of pictures. Cindy's Page with lots of pictures.